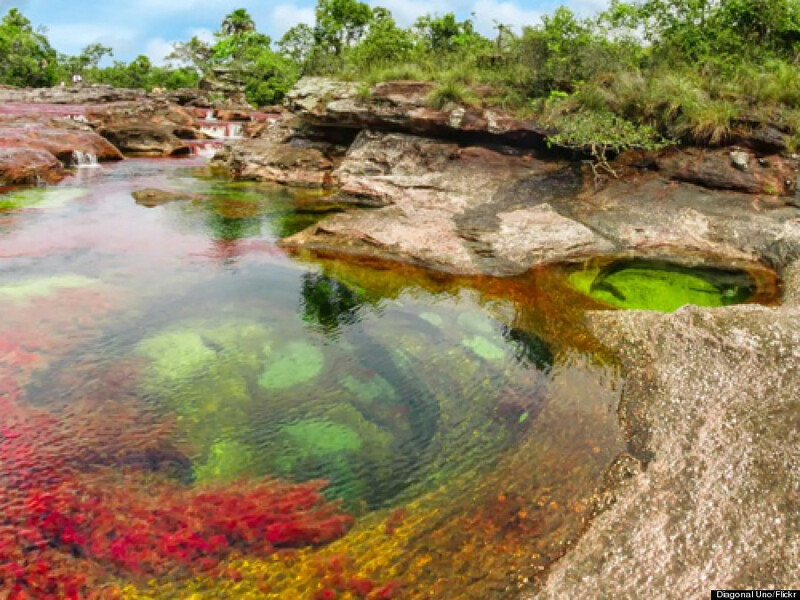 If the continuing onslaught of cold, snow and general winter misery has caused you to forget how pretty rivers look when they're not frozen solid, we'd like you to meet Cano Cristales. 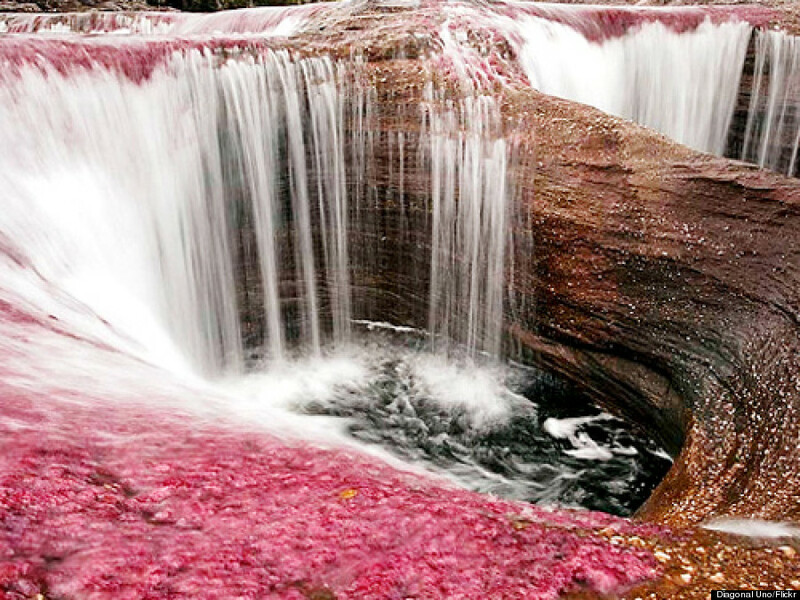 At first glance, Cano Cristales could probably pass for something out of Willy Wonka's Chocolate Factory but you'll have better luck finding it in Colombia's Serrania de la Macarena, a national park situated near the town of La Macarena. 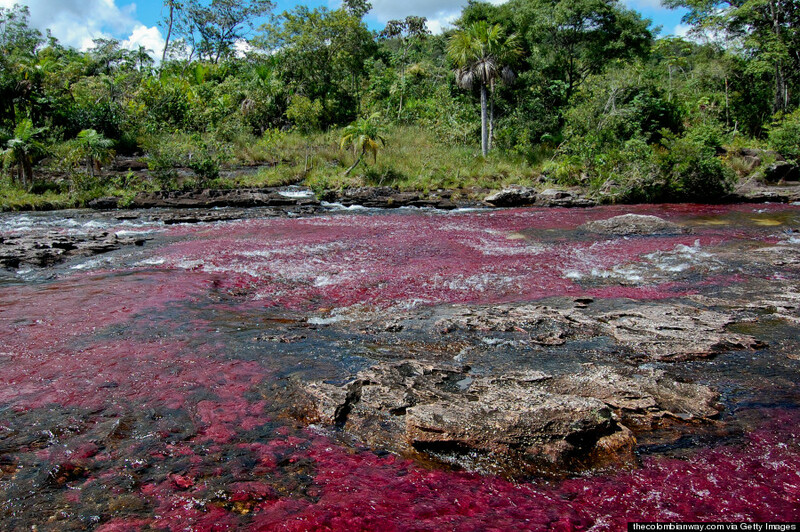 Nicknamed the "the river that ran away to paradise" and the "river of five colours", Cano Cristales doesn't look like much until the fall. The water runs crystal-clear all year round, showcasing moss-covered rocks. During the brief window between the region's dry and wet season (September to November), the river's water levels dip and the sun's rays provide enough light for the moss to bloom. 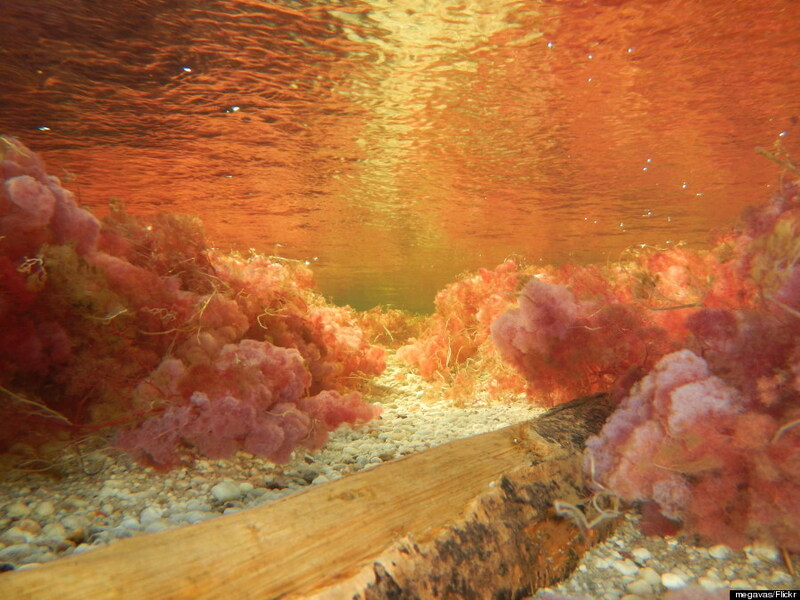 What happens next is an explosion of colour: dull greens turn vibrant, specimens of algae light up bright red, purple and shades of magenta. When coupled with the sunlight, the water is also said to take on a blue hue. The area stretches over 100 km long and has regained popularity with tourists since it reopened in 2009 after the Colombia Revolutionary Armed Forces loosened their 40-year hold on the area, according to Yahoo News.